This adorable brick wrapped 3 bedroom ranch has it all. 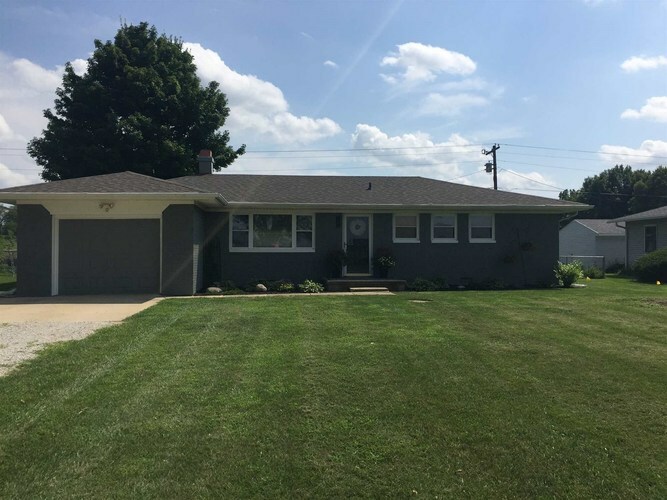 Located on the east side of town, the home resides on a quiet country lot with no backyard neighbors. The interior shows like a model home. As you step in, you’ll notice that the original hardwood floors were refinished in recent years and are in marvelous condition. The newly remodeled kitchen is gorgeous. It features brand new stainless appliances, new vinyl plank flooring, quartz countertops, and a brand new back splash. The living room gets great natural light and includes enough space for a large sectional. The dining area looks out on the fenced backyard and has adequate space for most dining situations. Other boxes this home checks are; 4 year old roof (30 year warranty), newer furnace, newer water heater, and a brand new water softener with a reverse osmosis system. The exterior brick was recently painted to compliment the homes new look. This home has all the charm you could ever want at a very affordable price. It’s in move in condition and ready for a quick closing.